President Adama Barrow has appointed Hassan Boubacarr Jallow as the new Chief Justice of Gambia replacing Justice Emmanuel Fagbenleh. Jallow was the Former United Nations Chief Prosecutor of Arusha based International Criminal Tribunal for Rwanda and Former Yugoslavia and has an in-depth knowledge and experience of both local and international law having serve as Justice Minister in former PPP government. He previously served as a judge at Gambia Surpreme court. Jallow studied law at the University of Dar es Salaam in Tanzania, the Nigerian Law School, and University College in London. In 1982, he was appointed the Solicitor General of the Gambia. He was Attorney General and Minister of Justice for the Gambia from 1984 to 1994, and in 1998 he was appointed justice of the Supreme Court of the Gambia. In 1998, the United Nations Secretary-General appointed Jallow to served as an international legal expert and carry out a judicial evaluation of the International Criminal Tribunal for Rwanda and the International Criminal Tribunal for Yugoslavia. Jallow was a member of the Commonwealth Secretariat Arbitral Tribunal and in 2002 he became a judge of the Appeals Chamber of the Special Court for Sierra Leone. 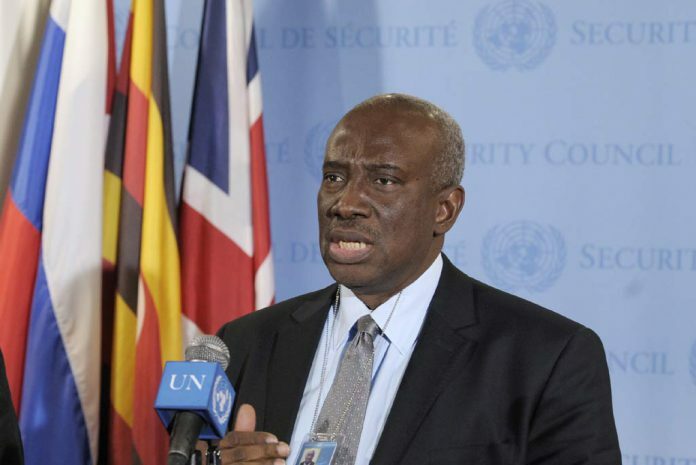 In 2003, United Nations Secretary-General Kofi Annan selected Jallow and the United Nations Security Council approved him as the prosecutor of the ICTR, succeeding Carla Del Ponte. Jallow is the first ICTR prosecutor to not also be the prosecutor of the International Criminal Tribunal for the former Yugoslavia. He was awarded the honour of Commander of the National Order of The Gambia. Jallow is also an author. He authored The Journey of Justice recently and The Law of the African (Banjul) Charter on Human and People’s Rights.